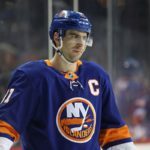 At the start of the season few expected the New York Islanders to compete for a playoff position, heck, in October a blogger titled her article “A 2018-19 NHL Season Preview of Every Team, From the Best to the Islanders.” However, as we exit the all-star break the New York Islanders sit atop the Metropolitan Division and in 6th overall above teams like Toronto, Washington, and Pittsburgh. To date, they have bested the powerhouse Tampa Bay Lightning and shut out the Maple Leafs in an emotionally charged game in Toronto where all-star Matt Barzal posted his first natural Hat Trick. They have the best record in the NHL since December 15th and have eight players with 10 or more goals. With Robin Lehner’s league leading save percentage (.931) and goals-against average (2.02) and Thomas Griess’ solid goaltending this pair is performing with poise, consistency, and precision. Number crunching statisticians have little to say about their unanticipated performance other than that this trajectory is unsustainable citing high PDO. It is clear the Islanders have an unidentified X factor or factors helping them to compete at this level. The question plaguing analysts is what is it and will it last? The stage was set for the answer to these questions in the well documented soap opera like departure of John Tavares. The acquisition of culture shifting Barry Trotz and Lou Lamoriello suddenly saw the Islanders stripped down to basics and an organizational upheaval created a blank slate on which to build. Tavares’ departure forced team rebranding as the windows of the Northwell Health Ice Center were cleared of all things John Tavares only hours after he announced his departure. This stripped the team of their prior identity in the best way possible; not because Tavares didn’t add value, not because he isn’t a great elite hockey player but because this forced all team members to reevaluate their place on the team and reestablish their roles. Although the departure of John Tavares appears to be the spark that lit the Islanders on fire, his contribution ends there. 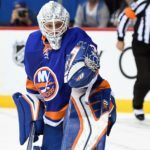 It was up to the remaining team members and new off season additions like Leo Komorov, Robin Lehner, and Matt Martin to see and harness the opportunity set in front of them. The return of fan favorite Martin which gave fans a boost and reunited the best/ most dialed in fourth line in hockey was the start of a cosmic opportunity and it just kept rolling from there. Group Cohesion has long been studied as a factor that contributes to team performance. This could be the unidentified X factor along with player development, culture change, and hard work which appears to be sustaining the Islanders. 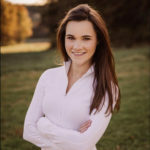 Let’s break it down like this: each individual has tasks they have to complete on the ice to make the team successful, and each team has an off ice social bond and culture. In a nutshell Group Cohesion is the existence of team member buy-in to both their individual role on the and in the social culture off ice. Cohesion is effected by how strongly individual members of the group are invested in the task and social aspects of the group. The Islanders appear to be operating as a team united and committed to playing a style hockey for the betterment of the team rather than the individual. Everyone has bought in to the on ice system and expectations. If you listen to players post-game interviews you will hear similar if not identical language; if it seems like they are all telling the same story, that’s because they are. You see their dynamic culture shift off the ice as well. Look at the players full and complete support of Robin Lehner when he disclosed the difficulties he has experienced with mental illness. The team rallied around each other socially in the off season seemingly creating a shared desire to “prove others wrong.” The Islanders are not the first team to harness the power of this dynamic, the 2017-18 Vegas Golden Knights, and the 1980 Olympic Hockey Team are two high profile examples. 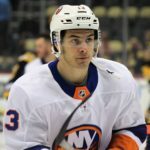 While no one can predict how the second half of the season will play out if the Islanders continue to relate to one another the way they do, share the same on ice vision, execute their vision and continue to develop individually and as a team they should be a force to recon with come time for the playoffs. Have players come together to create a shared mission or goal. Let the team come up with a sentence or two on their own about what their team stands for and what they are set out to accomplish together. Post it in the locker room, remind them of it. Set realistic team and individual goals and evaluate them often. Have the team do something together non sport related to build social bonds (Go on a hike, volunteer, go out for a team dinner). Most Islander fans are upset with JT, maybe they should be thanking him?